It sure does help me, but not on this kit I´m afraid! I´m sorry to have to tell you It´s a little too late, as I already had glued the front and aft fuselages together quite firmly! What bogs me now is that I have lots of references on the Tornado, but missed this! It´s quite obvious if you know what to look at, but I had never seen it myself! But this saved me from doing the same mistake on the next one! You live and learn all the time! I´ll have to live with this for now, and do the best of it somehow! Thanks for the info, Mate! I Thought it might be too late as I saw the stress in the plastic on your last photo. Both Sean and Jesper did heroic rushes early in the campaign and have each finished one spectacular model. Jesper also designed the ribbon, thanks again! On the subject of ribbons, this is now uploaded to the campaign page and I have also gotten us a two month extension. Finish date is now march 31. I hope this will allow a few more of us to finish their projects and maybe allow those who have left the campaign to come back. Just to provide some inspiration, the campaign leader has finally started his project as well! This is one of the wings of my XF-10F Jaguar. My first resin kit ever. With the extension, I'll make it. Well folks, I have been out of sorts and thought I had already posted what I was going to build. But I haven't been back to this thread because I thought it was ending today. 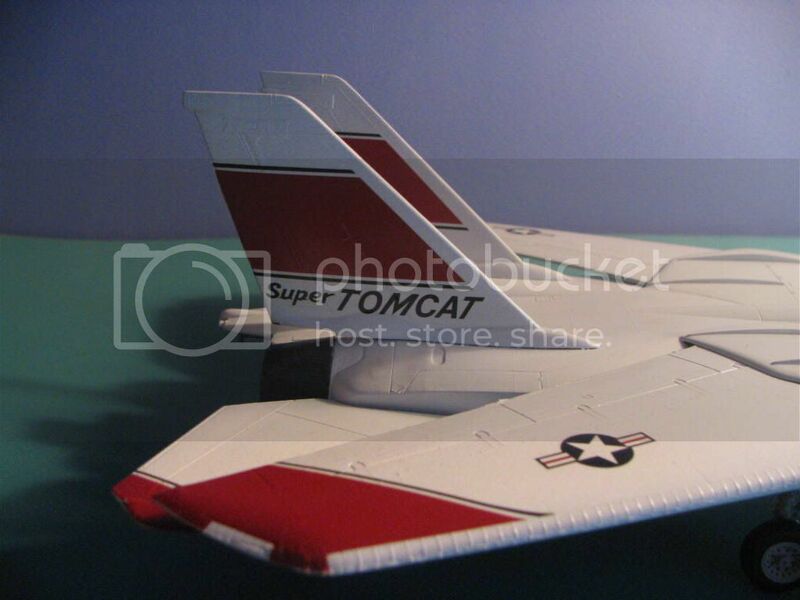 So I have spent all my spare time trying to get my Tomcat finished by today. Nothing beats a good plan. 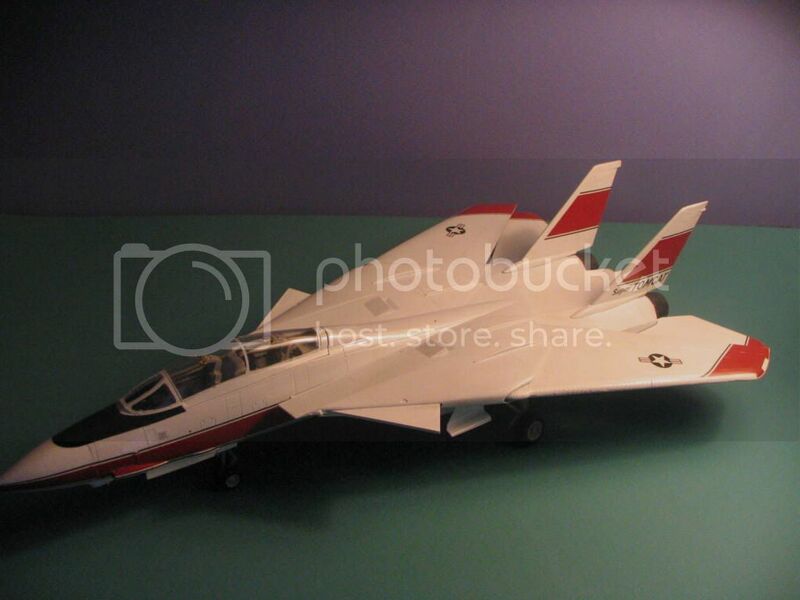 It is a 1/48th Fujimi Tomcat in Roll-out colors. It is a little dog of a kit, the seat looking like they were produced by Lego. The fit is almost acceptable. The decals and boxart are the only redeeming points of this kit. But my wife likes it, and it does look good in those colors. Thanks for looking. Carl! Sorry I haven't told you about the extension, I'll send a PM out to all participants today so those who haven't noticed don't give up too early! Cool aircraft and amusing to hear that you have the same situation as me: The first hurdle to get past is my wife. My modelling friends tend to say nice things whatever I bring to the meetings while my wife always tell the truth ! I've made a few further adjustments to the table. When I was double-checking against the campaign page I noticed a few people that were in the table but not in the campaign listing and a few others the other way around! If anyone feel left out, press the button here and send me a PM! done. 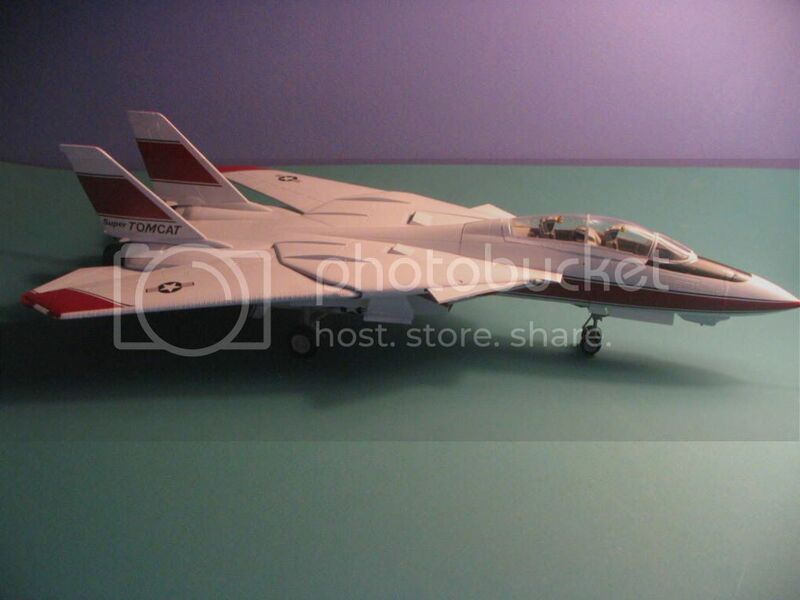 here sis my finished pic of my entry, dragon 1/144 F14. Lap Man: Congratulations, your'e the fourth builder to "go green"! Wings are soon finished, they will get a coat of clear tomorrow then the build can continue! Really nice F-14, Lap Man. Especially when considering the scale. Already started the Su-24, from Dragon, a very crude interior, basic (almost LEGO like) seats. Anyway I won't consider any aftermarket parts, not much time left. Hope to take some pics this weekend. John: Good luck, you still have almost two months to deadline! I hope to make good progress on my entry from now on with everything else off the table. I have added weight to the fuselage to avoid tail sitting. The cockpit is sparsely detailed but I will do as usual and concentrate detailing to the seat that is more visible. The working wing sweep mechanism has been assembled and tested. 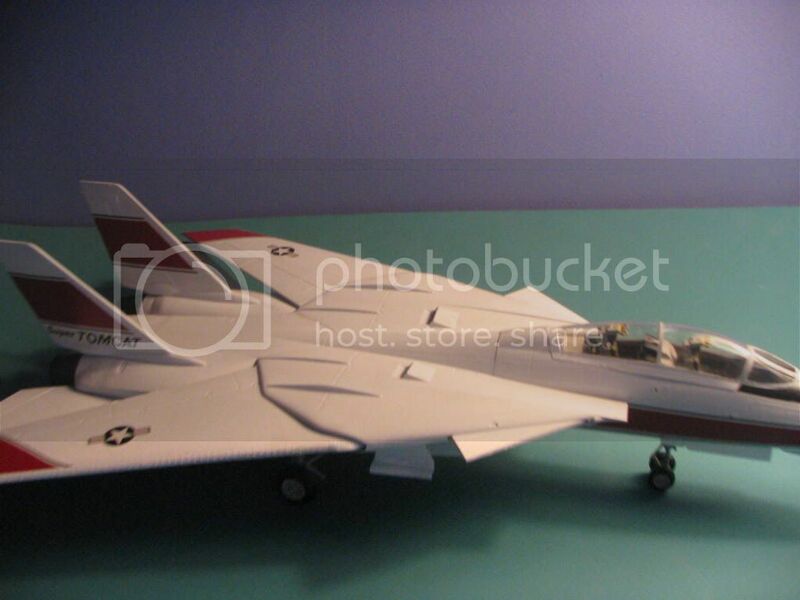 Academy 1/144th scale Tornado, which doesn't fit together very well. No wonder they were giving them away free at Telford model show . Uploaded into the campaign gallery. Well Andy. They use to say that there is no such thing as a free lunch, but this one got you a shiny campaign ribbon! Maybe you're the one that finally broke the rule! I did have to buy something to get it free mind, but I didn't know that at the time until I paid for the other kit (IDF M151A1 jeep) . Mmmmmm lunch, hungry now . I just wonder, where are the varks? Nice looking little Tornado, Andy. I hope you all are doing good progress, it would be nice to beat the Paparazzis when it comes to number of finished models! Still working on the cockpit of the Su-24. Looking forward to that John! Regarding cockpit detailing, I think 1/72 Hasegawa had its peak before 1990 (that's almost 20 years ago!) with F-14, F-15, Tornado, F-104... The WWII stuff from around 1995 are all nice kits but there is very little cockpit detail in them.